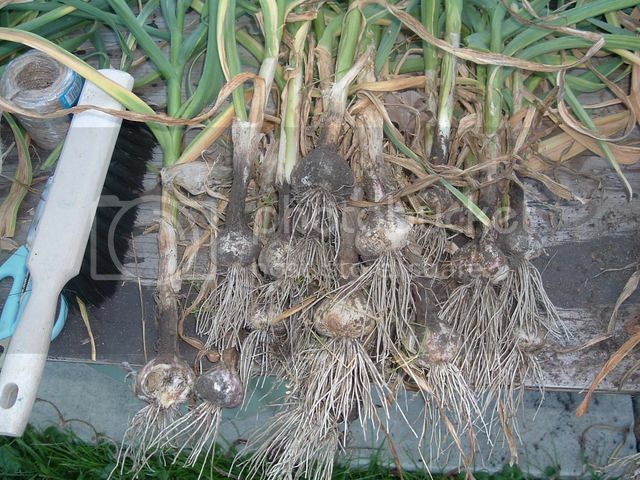 Cookaholics Bulletin Board • View topic - Now it's time to harvest the REAL garlic! 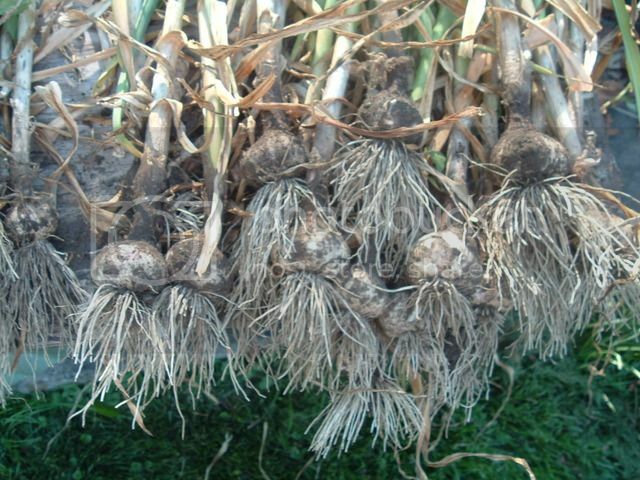 Now it's time to harvest the REAL garlic! 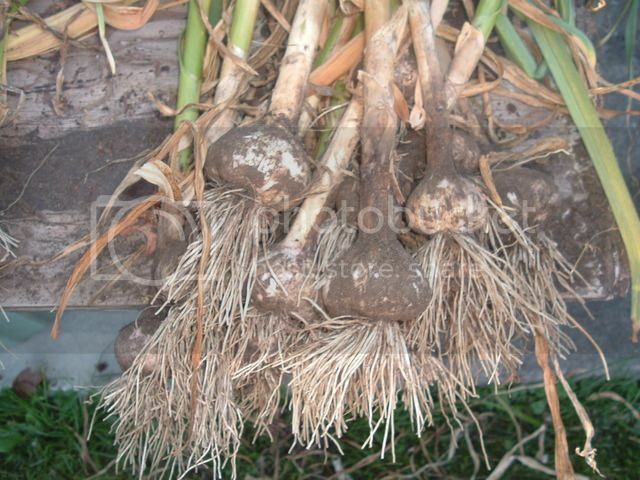 Post subject: Now it's time to harvest the REAL garlic! Those scapes were just a teaser. Today I harvested 36 Metechi and 37 Music heads, plus 16 or 17 that were very small, or damaged, in some way, so I'll have to eat them first. I still have the Estonian Reds - they didn't turn brown as fast, so maybe another week for those. I don't need to worry about vampires in the coming year! 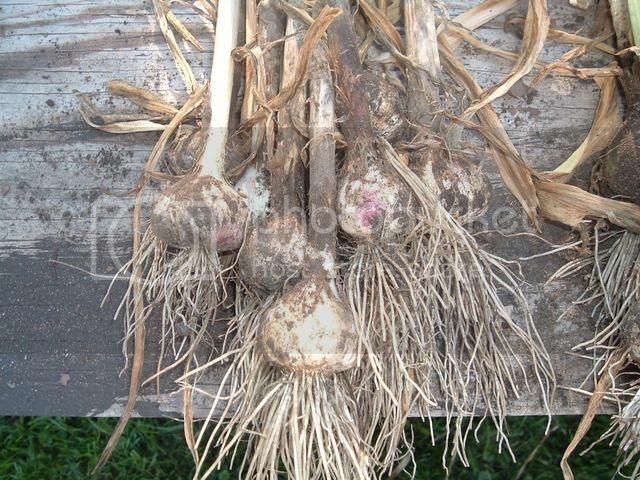 Post subject: Re: Now it's time to harvest the REAL garlic!